Western Star Lodge originated during the years just prior to the Territory of California becoming a State.This was accomplished primarily through the efforts of two men, Peter Lassen and Saschel Woods. 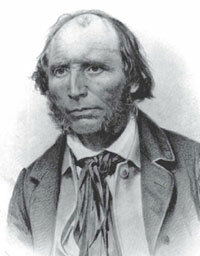 In 1840, Peter Lassen came to California from Missouri. He lived here for the next seven years and during this time formulated plans for a new town. He proposed to locate it near present day Vina in what is now Tehama County on his Mexican land grant, the Rancho Bosquejo. In 1847, Lassen returned to Missouri to gather people to help build and reside in the town. Lassen, at that time, was a member of Warren Lodge #74 of Warrenville (or Keytesville), Missouri. He was well aware of the desirability of having a Masonic Lodge located in his proposed new community. But, as Lassen was not the Master or Past Master of any lodge, he could not hope to obtain a Charter. While forming his wagon train he met Saschel Woods, a Presbyterian Minister. Woods was then a member of Wakanda Lodge #52 of Carrolltown, Missouri. More important, however, Woods was a Past Master. Application was made to Joseph Foster, Grand Master of Missouri, for a Charter and it was granted on May 10, 1848. The Charter designated Saschel Woods as Master, Lucien E. Stewart as Senior Warden, and Peter Lassen as Junior Warden of Western Star Lodge #98 to be held at a convenient place in California, under the Jurisdiction of the Grand Lodge of Missouri. The convenient place was the new town of Benton City on Lassen’s Rancho Bosquejo. 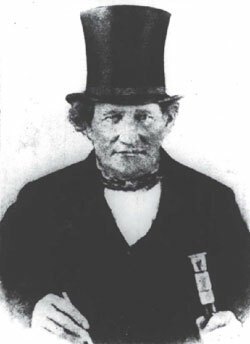 The name Benton City was derived through the influence of Saschel Woods. He was a friend and admirer of Thomas Hart Benton, the distinguished United States Senator from Missouri. Woods was able to prevail upon Lassen to name his new town Benton City in honor of Senator Benton. This letter was read on February 20, 1850, into the record of a Special Communication of the Grand Lodge of The District of Columbia, which had issued the Charter of California Lodge #13 on November 9, 1848. As the Territory of California evolved into a State its Masonic community was actively attempting to establish a new Grand Lodge here. There were two formal attempts to create the new Grand Lodge and Western Star Lodge #98 was active in both. In February and March of 1850, the first attempt to form a Grand Lodge of California was made by delegates from: Western Star Lodge #98; Connecticut Lodge #75 at Sacramento, Chartered by the Grand Lodge of Connecticut on January 31, 1849; New Jersey Lodge at Sacramento, Under Dispensation of the Grand Lodge of New Jersey, issued March 1, 1849; and Pacific Lodge at Benicia, U.D. of the (then possibly clandestine) Louisiana Grand Lodge of Ancient York Masons, issued June 5, 1849. California Lodge #13 had knowledge of the meeting; however, it was not represented. The delegates met in Sacramento and decided the new Grand Lodge was to be called “The Grand Lodge of Free and Accepted Ancient York Masons of California” and a Constitution was adopted. California Lodge #13, however, refused to recognize the new Grand Lodge; therefore the second attempt to form a Grand Lodge began. On April 5, 1850, a notice was placed in the Placer Times and other newspapers in the state, signed by Saschel Woods (then Master of Western Star Lodge #98) as chairman. Woods called for a convention of Master Masons to meet on April 17, 1850 in Sacramento (to try again) to organize a Grand Lodge. Thus, Master Masons from Western Star Lodge #98, Connecticut Lodge #75, California Lodge #13, New Jersey Lodge U.D., and Pacific Lodge U.D. met; and “The Most Worshipful Grand Lodge of Free and Accepted Masons of the State California” was formed. Upon assignment of numbers for the Lodges of the new Grand Lodge, California Lodge #13 was erroneously given the number “1”. This action was based on faulty information given relative to their first meeting date, referred to in the first proceedings of the Grand Lodge of California only as “in October” with no exact date specified. Thus, Western Star Lodge #98, the oldest Chartered Lodge in the State of California and the first to meet and organize, became Western Star Lodge #2. Connecticut Lodge #75 became Tehama Lodge #3. New Jersey Lodge U.D. became Berryman later, Jennings Lodge #4. Pacific Lodge U.D. became Benicia Lodge #5. 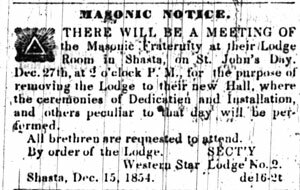 On May 9, 1851, the now Western Star Lodge #2 sought and received permission from the Grand Lodge of California to change its meeting location from Benton City to Shasta City which was then the County Seat of the newly formed Shasta County, one of the original 27 counties of the new State of California. On June 14, 1853, fire destroyed the business district of the town of Shasta City, including the building in which the Lodge was meeting. From June of 1853 until December 27, 1854, the Lodge met in the second story of Benjamin Shurtleff ’s home, on a hill overlooking the town. On December 27, 1854, Saint John’s Day, the Lodge was opened for the last time at that location and moved in Grand Procession to its new meeting place, a new brick building on Main Street. This building, referred to in 1854 as “Norton & Tucker’s fireproof brick building” consisted of a basement, first and second floor. The second floor was purchased by the Lodge as its meeting place and from Saint John’s Day of 1854 to the present, it has served as Western Star’s Lodge room. In the late 1850’s the Lodge was able to purchase the remainder of the building. The first floor then became the banquet hall; and the basement continued for many years to be a storeroom. On September 15, 1928, Grand Master Will H. Fischer officiated at the dedication of a vault located in the front entrance foyer of the Lodge building. This vault was constructed by a grant from the Grand Lodge to store and preserve the relics, documents, antiques and articles of Masonic historic value then in the possession of the Lodge. As the years have gone by, more and more articles have been added to this collection. Hence, the Lodge prepared a second vault to serve as the Lodge Archives, allowing the original vault to be used as a display for the many valuable items of Masonic History, not the least of which is the first Masonic Charter of a Lodge in California (the original Grand Lodge of Missouri Charter for Western Star Lodge #98). The new Archives Vault is located directly below the old vault and opens into what used to be the basement of the building. This room as been converted over the years to a small meeting room and lounge. On May 21, 1991, eleven days after the Lodge’s One Hundred nd Forty-Third Anniversary date, Grand Master Ronald A. Sherod dedicated the new Archives Vault in memory of Raymond A. Jackson, the Lodge’s former Historian of over 30 years and a Fifty-Seven year veteran of the Craft. The small meeting room and lounge was also dedicated by Grand Master Sherod in memory of Mrs. Mae Helene Bacon Boggs, the Lodge’s greatest Benefactress. From 1850 to the present, Western Star Lodge #2 has had three members elected to Grand Lodge Offices. They are: Saschel Woods, the first Junior Grand Warden, 1850; John A. Raymond, Deputy Grand Master, 1856; and Clay W. Taylor, Grand Master, 1881 and 1882. Three other members have served in appointive Grand Lodge Offices. They are: Chauncey C. Bush, Grand Bible Bearer, 1891; Jesse W. Carter, Senior Grand Steward, 1922; and Floyd E. Prather, Grand Bible Bearer, 1989. Members of Western Star Lodge #2 have formed three other Lodges in Shasta County. The first was Clinton Lodge #119 Under Dispensation of The Grand Lodge of California dated June 27, 1857, Chartered on May 17,1858, at Horsetown and subsequently moving to Piety Hill and then to Igo (all three locations are near Clear Creek in southern Shasta County). Clinton Lodge later consolidated back into Western Star Lodge #2 on October 15, 1936. Next came Northern Light Lodge #190, Dispensation issued on May 14, 1868, Chartered on October 15, 1868, at Millville. Last was Reading Lodge #254, Dispensation issued on February 22, 1879, Chartered on October 16, 1879, at Redding. In addition, Western Star Lodge also made formal recommendation to the Grand Lodge of California to grant Dispensations for three more Lodges to be formed: April 2, 1853, Butte County Lodge at Bidwell on the Feather River, which was Chartered in 1854 as Butte Lodge #36 and, unfortunately, surrendered its Charter on September 3, 1864; April 27, 1853, St. John’s Lodge at Yreka, which was Chartered in 1854 as St. John’s Lodge #37, and through two consolidations is now known as Howard Lodge #37 at Yreka; March 31, 1855, Vesper Lodge at Red Bluff, which was Chartered as Vesper Lodge #84 and still exists at Red Bluff. Western Star Lodge #2 entered the 1990’s with a membership of two hundred and fifty-eight and, as a sign of its vitality, the average age of its five elected Lodge officers was forty years. The average age of all twelve Lodge officers was just under forty-four years. From its beginning to the present, Western Star Lodge #2 continues proudly to meet in the manner and character of Masons to Initiate, Pass, and Raise all good men and true who may apply for the purpose and whom they may find worthy.